Oregon Pears — Tree-Ripe Citrus Co.
As we have continued to ponder what fruits will excite our customers, we’ve experienced a resounding consensus for pears! There was no other state we wanted to get our pears from than the state that calls them their own, Oregon. Pears are to Oregon what peaches are to Georgia, and we were so impressed by the phenomenal flavor of these fresh Oregon pears. We’ve partnered with renowned Kiyokawa Orchards, a family-ran farm since 1911, which is situated in the shadows of Mt. Hood. Having recently won the top spot in USA Today’s best Apple Orchard, we believe we have found one-of-a-kind fruit, which makes us even more excited to deliver these to your home. And boy were there a lot of varieties to chose from! That left us with one question: which variety is the best? We had quite the discussions about that question over the last couple months. Which variety will our customers love the most? Would they want something familiar, like the Comice or Anjou, or something new and wonderful, like the Warren or Taylor’s Gold? So we decided to get ‘em all together in a “Winter Mix” box so you can experience them all. In the “Winter Mix”, there will be (6) unique varieties. Red and Green Anjous, Comice, Taylor’s Gold, Concorde, and a very special pear, the Warren. We’re confident that each variety will speak for themselves; click through the following slideshow to get a description of each. 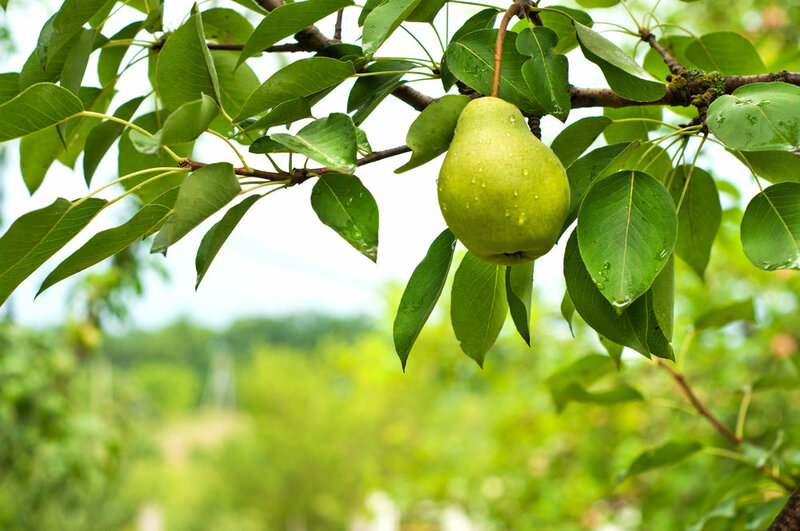 With a uniquely sweet and mellow flavor, this pear is paired great with cheese and wine! Related to the Bosc and Comice, this russeted variety has rich, sweet flavor. It’s a cook’s favorite for pear sauce and/or pie! Easily recognizable for its thin neck, this variety has quite the flavor: vibrantly sweet with a hint vanilla. It’s a great pear to make into jam. A truly famous (yet rare) pear, this is one to dig into! Favored by magazines and even Oprah for its sweet and rich flavor, it’s perfect to eat as-is. Remember, we are viewing this as a first-time, trial run and there will be no truck locations for pears. 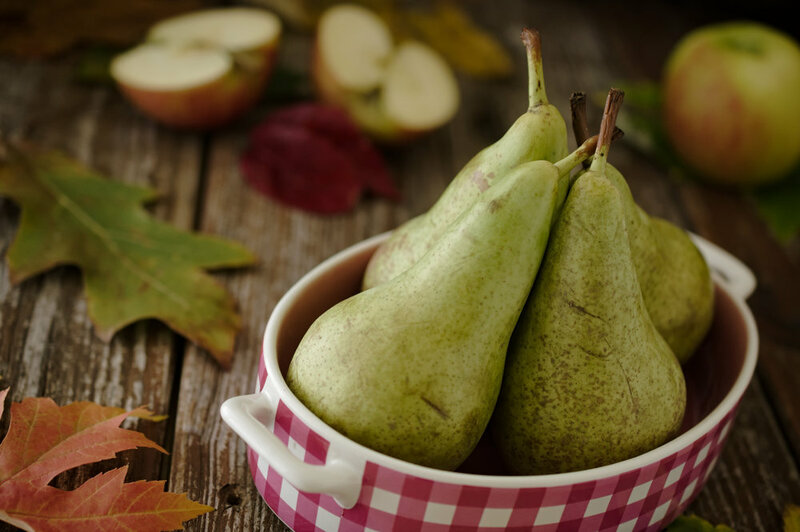 Like many of our new products, our pears are only available for a limited time for home-delivery and come in bulk pack, meaning a box weighing approximately 23 pounds. For more information on the pack and price, or to place your order, click here. So, what pear is your favorite? What do you like to do with your pears? We are more than excited to continue these new ventures into the best fruit we can find. What other fruits would you like to see us bring? We love your ideas! Let us know in the comments below or on our Facebook page. We can’t wait to hear from you.